A judge on Friday dismissed two bids by men claiming to be sons of Charles Manson to administer the mass killer's estate, leaving two other men competing for the appointment in a trial that will likely begin in 2019. Los Angeles Superior Court Judge Clifford Klein granted Michael Brunner's request that his petition be dismissed. He also said he was tossing Matt Lentz's bid because the man waited too long to hire an attorney. The judge denied Lentz's request for more time to get a lawyer. Klein scheduled a trial-setting conference for Dec. 14 on the remaining petitions filed by former Manson pen pal Michael Channels and Jason Freeman, who says he is Manson's grandson. Lawyer Dale Kiken has filed court papers seeking to administer Manson's estate on Freeman's behalf. Kiken, Channels and Lentz were present in court, but Freeman did not appear. Kiken's lawyer, Alan Davis, said the trial will likely involve the use of prison records to prove his client's case. 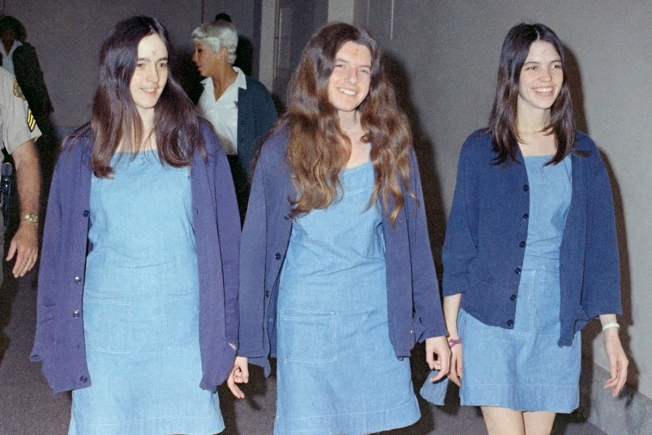 He said some of the information sought will include who visited Manson while he was in prison. Channels' lawyer, Theodore Theodosiadis, said some of his witnesses may be coming from out of the country. Freeman won a significant court victory when a Kern County commissioner ruled in March that he was entitled to Manson's remains. Like Freeman, Kiken maintains that a 2002 Manson will that Channels alleges he possesses is a forgery. Channels said Manson's 2002 will, filed in Kern County last November, names him the executor of Manson's estate. Manson, who spent nearly 50 years behind bars and was denied parole a dozen times, died Nov. 19 at age 83 at Bakersfield Mercy Hospital of heart failure triggered by colon cancer that had spread to other areas of his body.